To heal the collective, one must heal the self. Delving into the work of owning our stories is a revolutionary act of self love. Since joining Samba Colorado I have found a new sense of joy and gratitude through training my mind and body in an educational and artistic community in which I get to be a co-creator. I found Samba Colorado while I was in the midst of rebuilding my life after a tumultuous move across the country from New York City to Boulder. I came here to heal. When I began training with Samba Colorado I found that even through its challenges, Samba heals me on a deep level. Deconstructing the movements, getting inside them and exploring how they fit in my body, I get to reconstruct and rebuild myself. 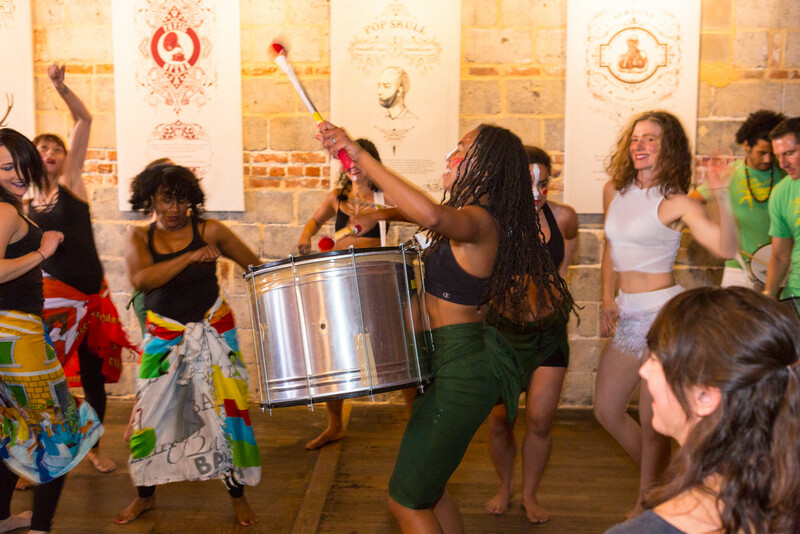 Samba Colorado is a diverse community, built with the belief that the arts have the power to heal by connecting us to our ancestors and releasing us from past trauma. While the world can be a violent and chaotic place, humans use music, painting, writing, movement, and other forms of art to express and heal ourselves from its effects, and connect with each other. In today’s social and political climate, I feel it is important to utilize the power of our own voices and bodies to tell our stories to effect change. When we dance Samba, we travel in time by telling stories of our ancestors that reflect our own struggles and triumphs today. Dancing Samba connects me to something bigger than myself. 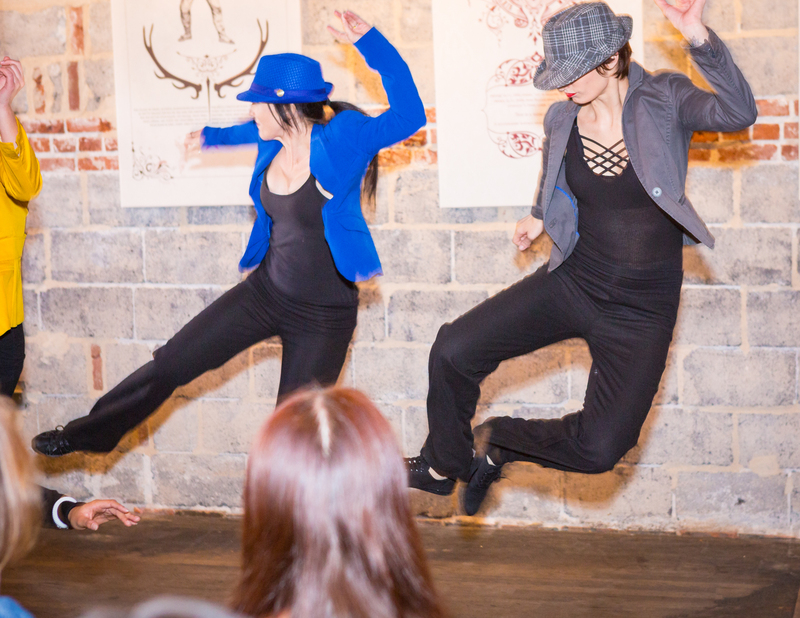 Through connecting to self and source within movement, I am learning to dance with proper alignment and fluidity, which counterbalances how I hold tension in my body. I connect to the water within and this gives me a sense of vitality. Playing with the men’s style gives me freedom to express different sides of my personality within a masculine character. Training in the Rio style I am learning to move gracefully with intention and presence, tapping into my inner divine feminine. We learn to connect to the movement from the root up, so no matter what style of Samba I am dancing, I am always reminded to stay grounded and in relationship with the earth. As our teacher Kebrina DeJesus says, “The technique will come when you have a foundation of groundedness.” These lessons all effect my life outside of the classroom and off the stage. When I walk down the street I can mindfully tune in and try to notice when my posture is out of alignment, and remember to tuck my tailbone and lead from my heart, shoulders down, eyes engaged. This approach to movement in my daily life is helping me combat depression and PTSD. Contemplating the idea that how you approach your art is how you approach your life has helped me gain confidence and stamina to keep pushing ahead, in life as much as in dance. This is how I am discovering my personal revolution. What sets Samba Colorado apart from other artistic communities and dance schools is Kebrina’s approach to sharing Brazilian culture as well as connecting with her students. During classes Kebrina will often take a moment to check in and ask students for their feedback. Her somatic and contemplative background and the genuine interest she takes in our journey makes one feel like they can let go of the outside world. Class is where we can safely explore and play with the intricacies of embodying this human form. One fellow student recently remarked that through her personal teaching style which often includes letting go of counts and really listening to the music and your body, Kebrina taught her how to feel again. As a teacher Kebrina is also always a student. 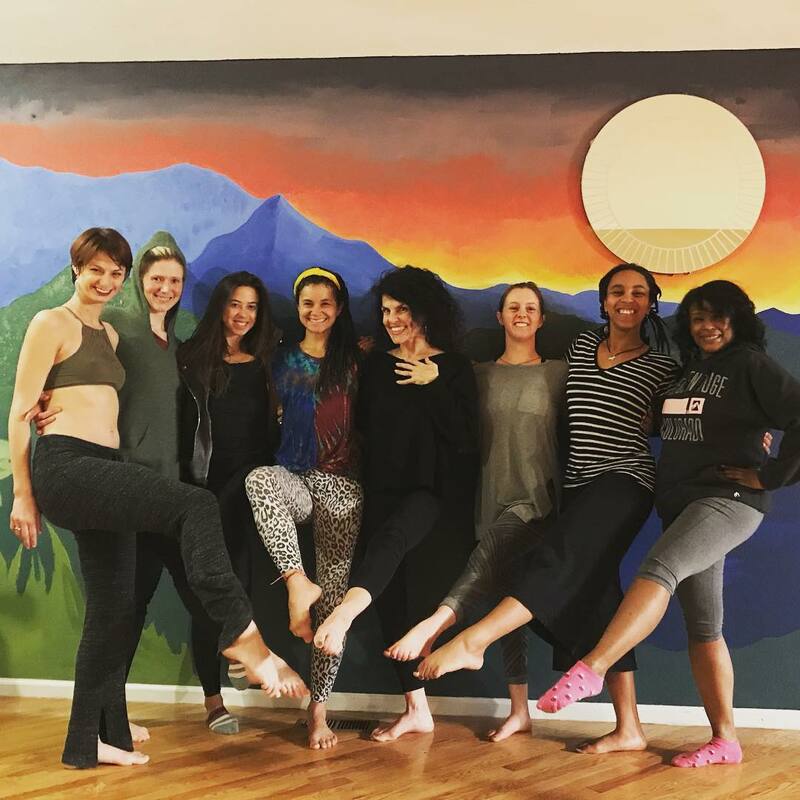 She brings in expert and master teachers from all over the country and from Brazil for residencies in which we get to cross train in other techniques and styles. All the while she is learning right along with us. Dancer, performer, and choreographer Julie Simon from Los Angeles California recently taught a residency with us on Samba, Contemporary Brazilian Dance, and Afro-Brazilian Dance. During her workshops I noticed that Julie exuded confidence, self love and sensuality. This essence of joy and self love was coming out of her pores! It was absolutely contagious! While she was here Julie also worked with the Samba Colorado performance ensemble to tighten up our technique and prepare for our Fall showcase, Embodied Liberation. She lit a fire under our collective asses right when we needed it, just weeks ahead of the show. We are delighted to welcome Julie back for her second dance artist in residency with us, March 20th and 21st. Julie teaches with this idea that dance nourishes us, and I cannot wait to see what deliciousness she brings for us to feed ourselves and each other with. Don’t miss the opportunity to experience and co-create with this exuberant teacher!